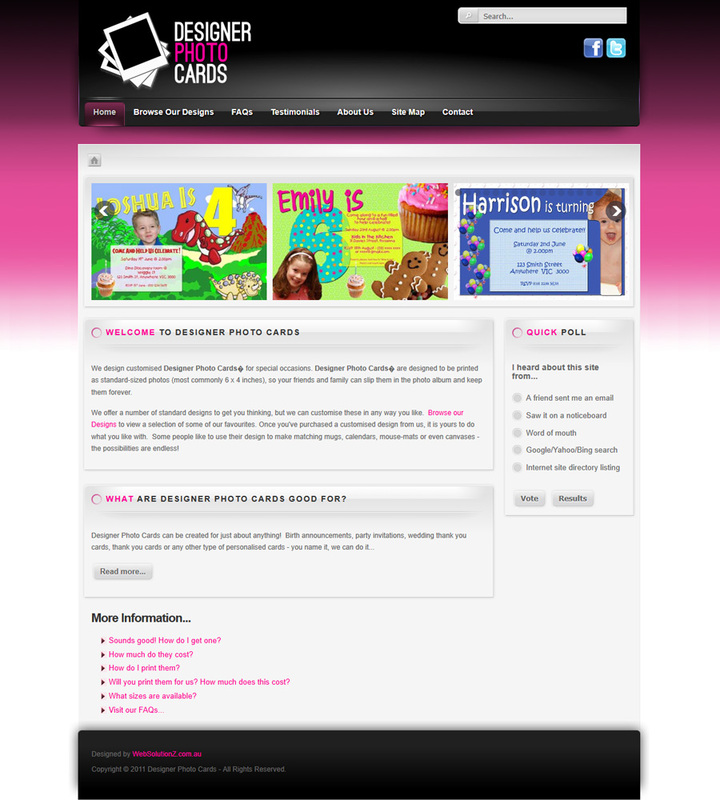 Designer Photo Cards is created and maintained by WebSolutionZ, a Melbourne-based website design & development company. We're more than just a website builder - our focus is on providing complete digital solutions for business and local community organisations. 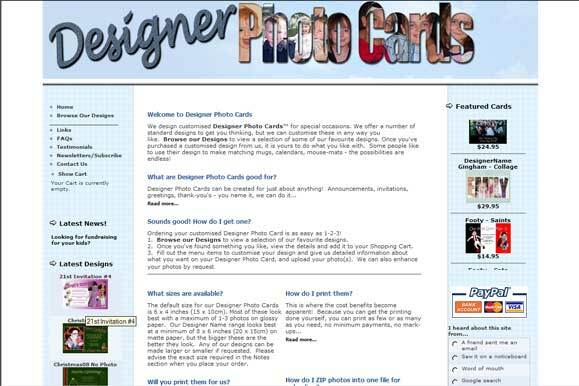 Designer Photo Cards was one of the first sites Nicky created. In the early 2000's she had created some customised birth announcements and birthday party invitations for friends and family. 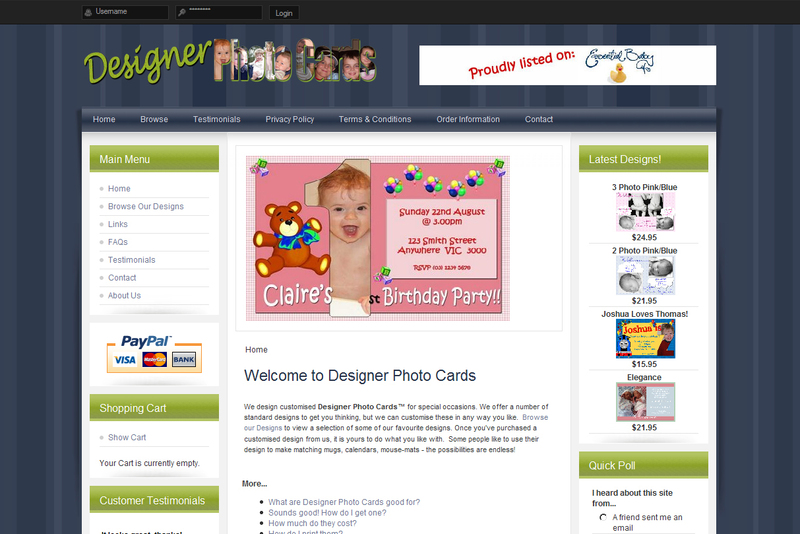 The response was "You should sell these", so she decided to give it a go and set about learning how to build an ecommerce website, and launched the first version of DesignerPhotoCards.com.au in November 2006. Back then this was a unique concept, and we sent Designer Photo Cards to customers all over Australia. We advertised online on Essential Baby, in print in the Nappy Bag Book, at markets, and in local childcare centres and shopping centres. But it turned out the most fun part was building the website, and so the focus turned to WebSolutionZ instead. For this version we've maintained the original colours, logo and content, but replaced almost everything internal. The site now uses the latest version of Joomla, a customised Gantry 5 template, and J2Store for ecommerce. Much trickery was involved in importing content, users and store information from the old to the new site, but it was great experience for other projects we may do. Click here if you're interested in the details.